Choosing what basil variety you want to grow from the 40-plus known varieties might be your biggest growing challenge when it comes to this staple herb. Choosing from the array of basil varieties to plant might be the most difficult part of growing this herb. Basil has minimal growing requirements—full sun (at least six hours a day), warm temperatures (above 50 degrees F) night and day and fertile soil with adequate moisture—but there are more than 40 known varieties to choose from. Your local garden center likely offers a few basil varieties as seedlings, but to grow the most unusual basils, you’ll need to start from seed. To help narrow your selection, determine how you will use the basil: to color in the landscape, as an ingredient in food or drinks, as a garnish, or to make a year’s supply of pesto. Below is a list of 10 basil varieties and their uses to help you make your decision. You know that apple cider vinegar is a green cleaning dynamo, but what about the health uses for apple cider vinegar? Apple cider vinegar – ACV for short – is some versatile stuff! You can use it to top salads or make pickles, then use it to clean the counters afterwards. 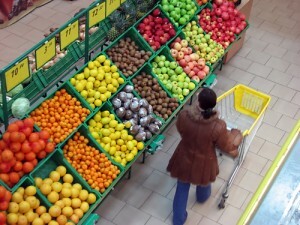 Then, you can apply it to your skin and even drink the stuff for all sorts of health benefits. Really, is there anything that apple cider vinegar can’t do? Wait a minute, wait a minute. Drink it? I know, drinking vinegar might sound…kind of gross. We’ll get more into the benefits and how to make it a little more palatable below. Just stay with me here, OK? Proponents of ACV will tell you that the reason it’s great is that it’s loaded with vitamins and minerals. That is both true and not true. A cup of apple cider vinegar is rich in vitamins like potassium and manganese, but who is drinking a full cup of this stuff, right? Chances are you’re going to drink an ounce – about two tablespoons – tops at a go. What ACV does have in spades is acetic acid, which helps your body better absorb vitamins and minerals in the food that you eat. That acetic acid also slows down digestive enzymes, regulating blood sugar levels, which can definitely contribute to overall better health. Apple cider vinegar is beneficial topically and when you ingest the stuff. The list below contains just a few of the health uses for apple cider vinegar. I’d love to hear how you’re using apple cider vinegar, too. Drop a comment with your ACV tips! 1. ACV Tea for a Sore Throat – Combine 1 tablespoon vinegar in 1 cup hot water. You can add a sweetener of your choice if you have a hard time drinking this as-is. 2. A shot a day keeps the doctor away? 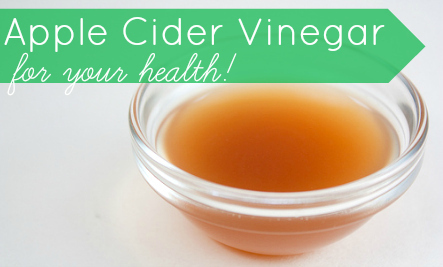 You can take advantage of ACV’s health benefits with a daily vinegar shot. 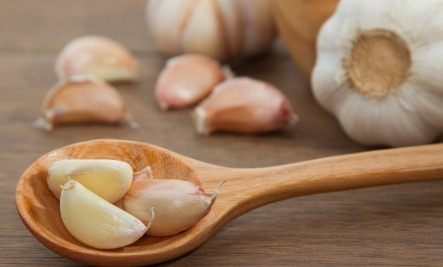 Research suggests that it can help prevent high cholesterol, regulate blood pressure, and improve heart health. Just put 2 tablespoons of ACV in a shot glass, and slug it. Chase with a little juice, if you need to wash away the strong vinegar flavor quickly. Even better: chase with a glass of water. I know this may sound crazy, but some folks – like me! – like the taste of straight vinegar, and over time you’ll get more used to it too. There’s even research showing that taking a shot of ACV before bed can help regulate your blood sugar levels. 3. Wart removal – Check out this video showing how to use ACV to treat warts naturally. 4. Dandruff Treatment – Got dandruff? ACV to the rescue! Check out this natural dandruff treatment made with apple cider vinegar. 5. Natural Heartburn Remedy – I know, swallowing something acidic sounds a little bit counter-intuitive when you’re trying to get rid of heartburn, but before you write off this idea, see what Reflux MD has to say about it. 6. Homemade Astringent to Beat Acne – Do you struggle with acne? The natural acids in apple cider vinegar can help. Here’s a great recipe for a anti-acne astringent made with ACV. 7. Soothe a Sunburn – Did you overdo on the last pool or beach day of the year? Apple cider vinegar can help your body bounce back from a sunburn. 8. Stop Leg Cramps in their Tracks – Scientists looked at how consuming vinegar affected muscle cramps, and their findings were dramatic! Though to be fair, pickle juice will do the same thing, but with all of its other health benefits, you may as well use ACV instead, right? Eggplant Controversies Cooks in Italy, as everywhere, disagree about whether or not eggplant should be peeled. It seems to be a matter of personal preference, but keep in mind that an eggplant that is overgrown or has been stored for a long time will have a tough skin that will not soften during cooking. It’s often a good idea to peel it. Whether or not to salt and drain eggplant before cooking remains a matter of dispute, too. Some say you should salt slices heavily and drain them on paper towels for an hour to rid the eggplant of any bitterness; others feel it”s an unnecessary step. What is indisputably true is that eggplant that has been salted and drained will absorb less oil during frying than eggplant that has not. I love all creatures great and small. Except slugs in my garden. Those slimy gastropods that not only gross me out, but they take large bites out of tender seedlings and shoots, devouring my precious plants. For that reason, all slugs must die, but in a natural way. Here are 16 non-toxic (to humans) ways to kill garden slugs. 1. Cornmeal: Place a handful of cornmeal in a jar, and lay it on its side in the garden. Slugs will like the scent, slither in, and die. 2. Coffee Grounds: Spread coffee grounds around plants. Not only will the grounds damage slug bellies, but they will nourish your soil as well. 3. Egg Shells: Eggshell shards ringing your plants will stop slugs in their slimy tracks. 4. Dried Pine Needles: Dried pine needs make a great mulch that cuts slugs where they crawl. Spread it throughout the garden, and watch it rot into food for your soil. 5. Diatomaceous Earth: Place these granules of dead, microscopic creatures around plants to form a rough barrier that slugs can’t breach. Warning: The power can irritate eyes, so wear glasses or goggles, and don’t spread when it’s windy. 6. Salt: Salt dries up slugs eating your container plants. Ring pots with salt, making sure the salt doesn’t get near the drainage hole. I wouldn’t use salt in the garden, because it can harm soil and plants. 7. Seaweed: Seaweed is double trouble for slugs. Not only will the salt in seaweed harm slugs, but it dries into a rough layer that cuts slugs, too. Spread it around, but not touching, plants at least 3 inches high. 8. Vinegar: Is there anything vinegar isn’t good for? Mix equal parts vinegar and water, and spray the solution on slugs you’ve collected. It will dissolve the pests, but it can also harm plants. So isolate the slugs before you soak them in vinegar. 9. Coffee: Caffeine is a proven slug killer. Spray coffee on their soft bodies, and the neurotoxic caffeine destabilizes their heart rate. 10. Leftover Beer: I’d never open a can of Bud just for the slugs, but instead of pouring leftover brewski down the drain, I pour it in a cup or bowl with high sides and place it in a hole just above the surface of the soil. Slugs follow the scent of beer, fall into the beer pool, and drown. 11. Dog/Cat Kibble: Slugs like pet food. Use it to lure the mollusks into traps, like a clay pot with one edge slightly raised, or a turned-over, disposable pie tin with a couple of holes cut into its side. Set the trap at night when slugs come out to eat, and toss the prisoners to the wild birds in the morning. 12. Attract Birds: Birds love to chow down on slugs, so welcome these flyers with open arms. Place birdbaths, and hang feeders and nesting gourds in your garden to attract these slug terminators. 13. 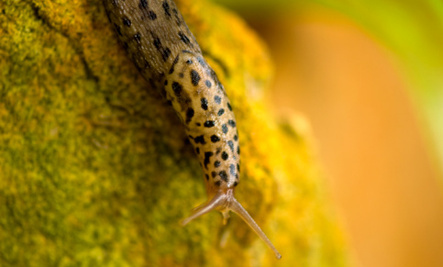 Water in the A.M.: Slugs love moisture and are most active at night. So water your garden in the morning, so the soil is dry and less inviting when the slugs come out to eat. 14. Pluck at Night: If you can stand touching the slimy things, take a flashlight out to the garden at night and pluck slugs from plants. 15. Human Hair: When you clean combs and brushes, collect the hair and spread it around plants. Slugs will tangle themselves in the hair and suffocate. Both slug and hair will decompose and feed your garden. Coral honeysuckle, Lonicera sempervirensis native to the eastern, midwest and southern regions of the U.S. Unlike its Asian cousins, this semi-deciduous, woody vine is well-behaved and will happily settle in to a small garden. Few seedlings or offsets are produced, but it can be propagated by semi-hardwood cuttings. Most varieties bloom in early spring with a huge flush of deep coral trumpets and continue throughout the summer and autumn with smaller displays. Hummingbirds find it irresistible, as do butterflies and bees. The Coral Honeysuckle prefers full sun, but will accept some shade. Fewer blooms are produced with less sun however. Prune in late winter to produce more flowers and fertilize sparingly.These are long-lived perennial vines that can be enjoyed for generations. They have few pests and are tolerant of varied climates and conditions. The one in this picture grows on our arbor in front. It was a welcome gift from woman visiting our neighbors. For long time we thought it would never grow but now it is just climbing all over with mininum care. It does not like fertilizers. The woman from this area called it a “pink honeysuckle” when in truth it is a vivid coral. It rarely has any ants or bugs and just adds such beauty and attraction to the wild garden. 2. 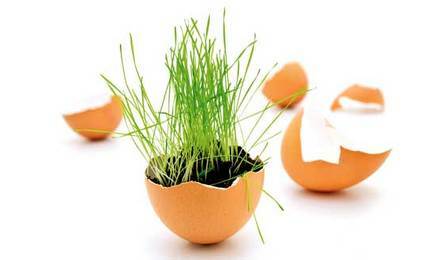 Use eggshells as pots for starting plants from seed. Then plant the seedling, “pot” and all, into the garden. No matter how you want to use them, be sure to rinse the shells out well before using them in the garden. 12. Make Almond Milk from Scratch. You’ll find a great recipe. 13. Make Infused Honeys. 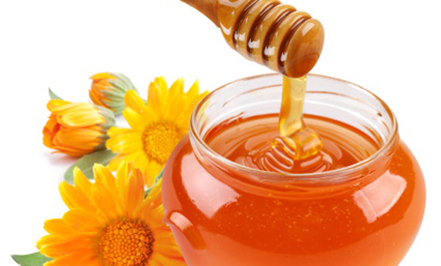 Why have plain old regular honey when you can have ginger lime honey or hot pepper honey?! For these and more infused honey recipes. … The product label will identify the starting ingredients, such as “apple cider vinegar” or “wine vinegar.” Malt vinegar is made from the fermentation of barley malt or other cereal grains. Sugar vinegar is made from sugar, syrup, or molasses. Garrett warns against using 20 percent vinegar, which is made from 99 percent glacial ascetic acid, stating it’s far stronger than you’d ever really need, in addition to being overly expensive. Perhaps more importantly, this type of vinegar is actually a petroleum derivative, which is dangerous to breathe and can be damaging to your eyes and skin. “One final warning is that some of the 10 percent vinegars being sold to naïve organic gardeners are the fake 20 percent product that has been cut with water. Proper vinegars should have on the label that they are made from distilled grain alcohol or other similar language indicating natural products from distilling,” Garrett warns. When purchasing an apple cider vinegar, you’ll want to avoid the perfectly clear, “sparkling clean” varieties you commonly see on grocery store shelves. Instead, you want organic, unfiltered, unprocessed apple cider vinegar, which is murky and brown. When you try to look through it, you will notice a cobweb-like substance floating in it. This is known as “mother,” and it indicates your vinegar is of good quality. While it may look suspicious at first, in this case, it’s the murky looking stuff you want. As with everything else, the more processed a food is, the less nutritious it is, and this holds true for apple cider vinegar. People with prediabetic symptoms benefittedthe most from the vinegar, cutting their blood glucose concentrations by nearly half. A follow-up study geared at testing vinegar’s long-term effects yielded an unexpected but pleasant side effect: moderate weight loss. In this study, participants taking two tablespoons of vinegar prior to two meals per day lost an average of two pounds over the four-week period, and some lost up to four pounds. In 2007, another study cited by WebMD  involving 11 people with type 2 diabetes found taking two tablespoons of apple cider vinegar before bed lowered glucose levels in the morning by 4 to 6 percent. Although the research to date looks favorable, more studies are needed to confirm the extent of vinegar’s insulin stabilization benefits. Many who tout apple cider vinegar’s wide-ranging benefits claim its healing power comes from the abundance of nutrients that remain after the apples are fermented. However, standard nutritional analyses of apple cider vinegar have found it to be a surprisingly poor source of most nutrients. For example, the one milligram of calcium found in a tablespoon of apple cider vinegar does not come close to the 1,000 milligrams a typical adult needs each day. Its magic can also not be traced to vitamin content. According to the US Department of Agriculture (USDA), apple cider vinegar has no measurable vitamin A, vitamin B6, vitamin C, vitamin E, thiamin, riboflavin, niacin, pantothenic acid, beta-carotene, or folate — and it’s equally lacking in amino acids, lycopene, or any other nutritional elements. Still, despite the fact that it’s devoid of many of the traditionally valued nutrients, evidence of apple cider vinegar’s health benefits has been witnessed for hundreds — maybe thousands — of years. So, what can explain this mysteriously beneficial elixir? It may be partially related to the fact that vinegar is a diluted acid, specifically acetic acid, which help to normalize your body’s pH. This likely improves nutrition, by optimizing your gut flora and helping eradicate pathogenic or disease-causing bacteria, and by serving as growth accelerators for beneficial bacteria that typically thrive in more acid environments. This is also one of the reasons why eating fermented foods is so important. Taken internally, apple cider vinegar is credited with maintaining the acid/alkaline balance of the digestive tract. I take a large spoonful straight or in my “witches brew” in the morning that I drink at least once a day. If your water is alkaline, add 1 tablespoon of 50-grain (5 percent) natural apple cider vinegar to each gallon of water to improve the quality of the water for potted plants and bedding. This doesn’t have to be done with every watering, though it wouldn’t hurt. This technique is especially helpful when trying to grow acid-loving plants such as gardenias, azaleas, and dogwoods. A tablespoon of vinegar per gallon added to the sprayer when foliar feeding lawns, shrubs, flowers, and trees is also highly beneficial, especially where soil or water is alkaline. The other horticultural use for vinegar is in the watering can. Last but not least, vinegar can be used to remove certain pesticides and bacteria from your fresh produce. Of course, you don’t need apple cider vinegar for this—any basic white vinegar will do. Gayle Povis Alleman, MS, RD recommends a solution of 10 percent vinegar to 90 percent water as a bath to briefly soak produce . Just place your veggeis or fruit in the solution, swish it around, and rinse thoroughly. Just don’t use this process on fragile fruits (like berries), since they could be damaged in the process or soak up too much vinegar through their porous skins. Apple cider vinegar has also long been used as a natural hair care product. Its acidity is close to that of human hair; it’s a good conditioner and cleaning agent, as well as an effective germ killer. You can visit apple-cider-vinegar-benefits.com for information on how to make a vinegar hair rinse. While we need a great deal more research to investigate vinegar’s full healing potential, it can certainly be useful in a variety of ways, for a variety of conditions. It’s definitely a great multi-purpose tool to have in your pantry.